Pianist Késia Decote will perform my piece Auditory Rainbows as part of Série Música de Primeira, at the Primeira Igreja Batista do Rio de Janeiro. at The Global Composition conference at Hochschule Darmstadt, Media Campus Diedburg in Germany. For a detailed description and programme of the festival visit the Cohesion website here. I will be showing some work at Audiograft, a sound art and experimental music festival in Oxford. The festival is organized by SARU. 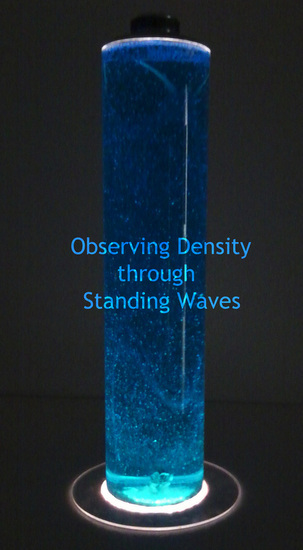 I will be exhibiting a new sound installation entitled "Observing Density through Standing Waves". The piece will run from the 14th to the 19th of February, and will be open to the public from 9am to 5pm. It will be located at the Richard Hamilton Building at Oxford Brookes University. During the same festival we will be showing a new work with the "Synaesthetics" project, a collaboration with vj/video maker Dariusz Dziala. The projection of the piece will take place at the Jacqueline Du Pré Concert Hall in Oxford, on the 18 February 2011 at 8pm. You can find a detailed description of the festival and a map of the venues here. real-time audio and visual processing. 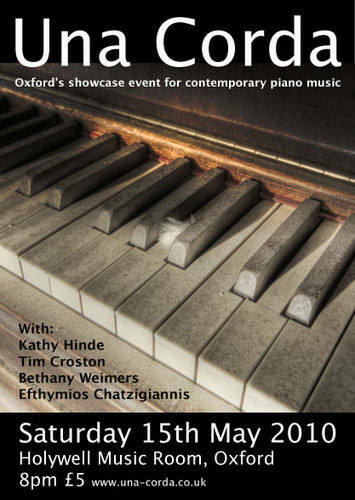 organized by the Oxford Improvisers. "Broken Mirrors", at the STEIM, Amsterdam. and resonating glasses at Una-Corda. 20:00 @ the Hollywell Music Room, Oxford. of my latest pieces for Flute and Max/MSP entitled "Broken Mirrors"
resonating glasses entitled "Auditory Rainbows"
organised by the Sonic Art Research Unit at Oxford Brookes University.